Visionox is earnestly developing high resolution flexible AMOLED panel with impending active AMOLED mass production. In CITE 2015 (April 9 – 11), held in Shenzhen in China, Visionox exhibited AMOLED product and OLED lighting. 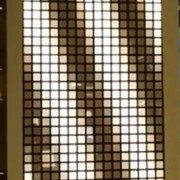 According to Visionox, although they cannot reveal detailed specifications as it is a newly developed prototype, they solved color shift issue and produced high resolution panel using high pixel arrangement technology. As a next generation product, flexible AMOLED mass production line is being considered. In April 2014, Visionox developed 4.3inch 570ppi resolution AMOLED panel by developing new pixel formation technology. Additionally, Visionox established first Gen5.5. AMOLED mass production line at the end of 2014 and is preparing for active mass production. Mass production capacity is 15K and the products will be used in devices such as mobile phones. Visionox is also focusing on OLED lighting panel industry. In 2009, Visionox produced first OLED decoration lighting products in Mainland China. 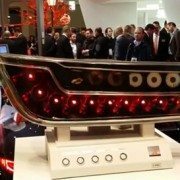 Visionox is aiming for OLED lighting panel mass production in 2017, and working on improving lifetime and luminous efficiency. 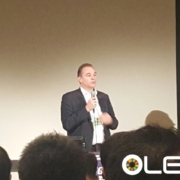 [Lighting Japan 2016] LED Lighting Industry Crisis. Solution?